Tokyo | Come Due Maiali / "Like Two Pigs"
Upon arrival in Tokyo, one quickly discovers that in the land of the rising sun, there is actually not a whole lot to do at 6, 7, even 8am; which is why almost all visitors end up at Tsukiji fish market, where a breakfast of the world’s freshest sushi awaits. 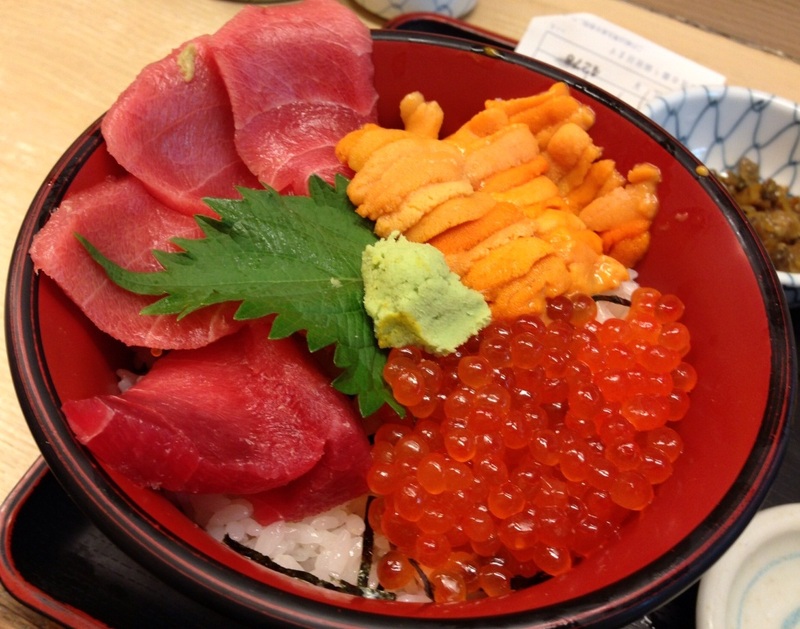 Alternatively, one can have the world’s freshest sashimi as part of a rice bowl (donburi, or don). Featured above is a particularly over-the-top luxurious version of ikura, toro, and uni (roe, fatty tuna, and sea urchin) don, available for only about 20 dollars at Nakaya, a donburi specialist (prepare to queue!). Perhaps, the ultimate decadent breakfast involves buying a box of freshest uni from a vendor in Tsukiji market, and eating the entire box with a big spoon! During our time in Kyoto, as we were staying in a traditional Japanese inn (ryokan), we took advantage of the opportunity to start the day right with the traditional Japanese breakfast. 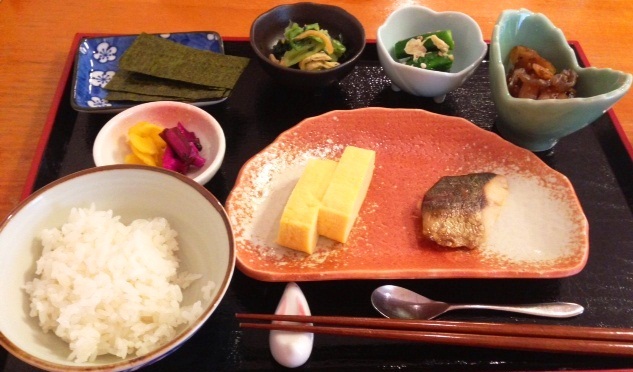 It typically consists of grilled fish, pickles, rice, nori, miso soup, tamagoyaki (omelet), vegetables, and tea. While it limits one’s ability to snack during the first couple of hours of exploration, it is an experience not to be missed. If you are anxious to get the day started, a coffee and a pastry at a French boulangerie, such as Eric Kayser, can also do the trick (I ate my fair share of bichon au citron and miniature yuzu muffins). 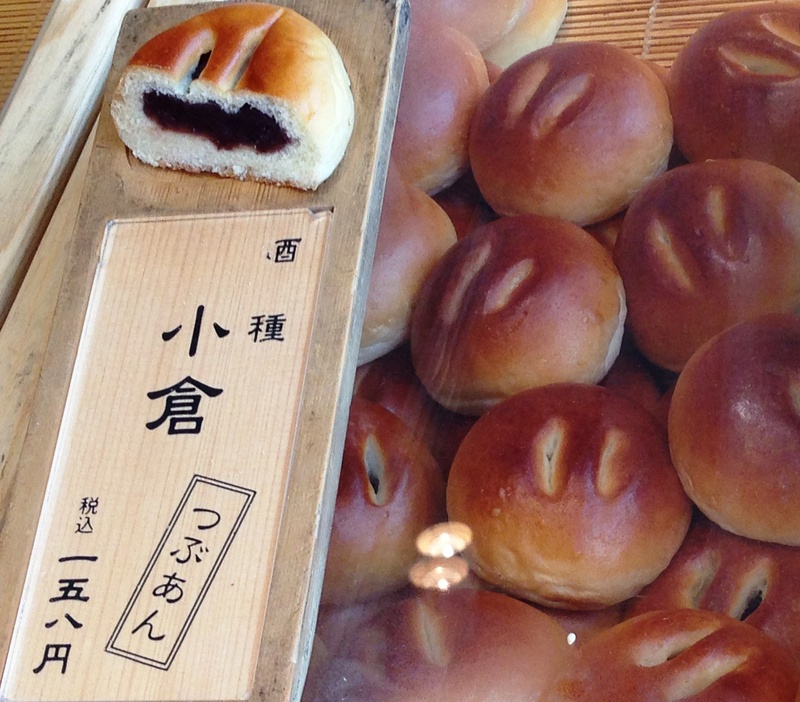 Or one can opt for a traditional sweet roll (anpan) filled with red bean paste from a Japanese bakery such as Kimuraya, or something else equally delicious. If you need a break from structured multi-course meals, noshing in the food markets, such as the fantastic Nishiki market in Kyoto is easy as pie. Dashi-maki (omelet on a stick), oysters, takoyaki (octopus balls), grilled mochi, wagashi, soft matcha ice-cream, you name it. If you run out of ideas, just follow a flock of school girls. 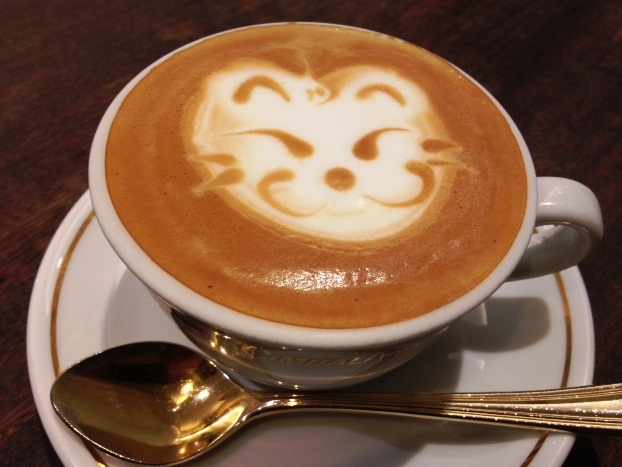 Japan (and especially Tokyo) is in the middle of a revolution, – a coffee revolution, that is. 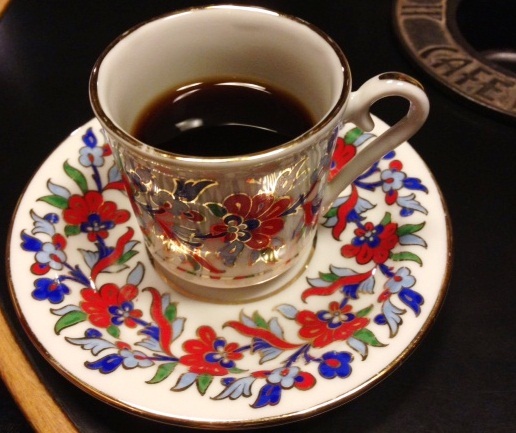 Exciting choices range from the very traditional kissaten (such as Chatei Hatou) to a coffee stand by the park (Little Nap Coffee Stand); from an artsy syphon bar (Cafe Obscura) to a pop-up coffee shop (Omotesando Koffee). 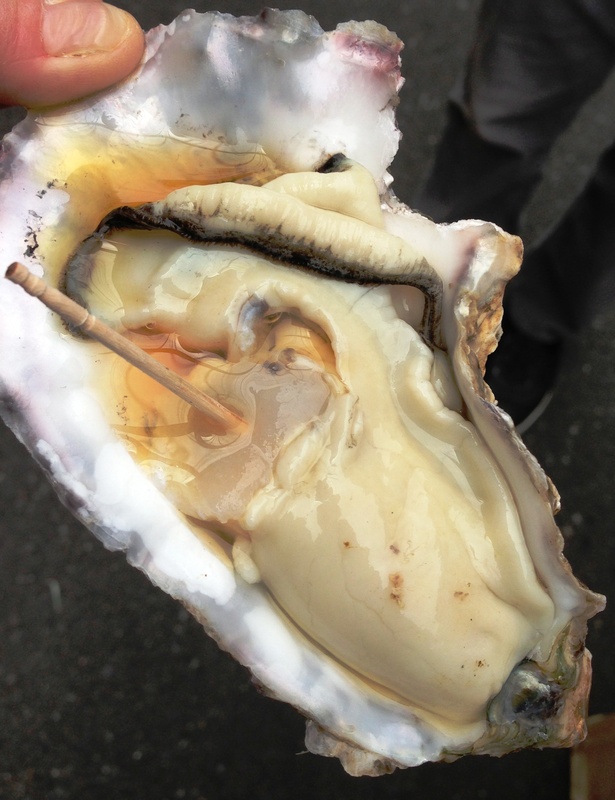 in my opinion, are to be found in Tokyo. 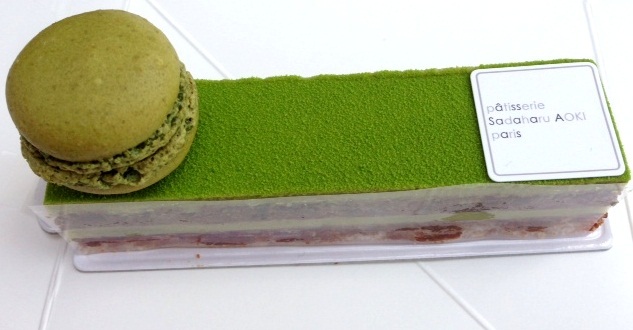 All the top French patissieres (Viron, Henri Charpentier, Hevin, Pierre Herme, etc. ) have long set up shop in Japan. 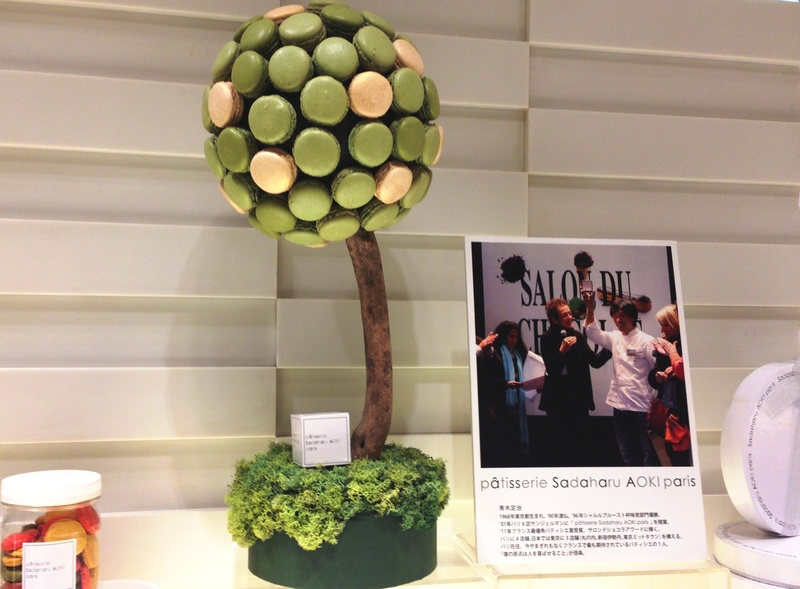 In addition, they are in competition with such Japanese stars as Sadaharu Aoki who have managed to apply immaculate classic technique to traditional Japanese ingredients, such as yuzu, black sesame, matcha, genmaicha, etc. Most of them have their own stores, but the best places to search for treasures are depachika (the underground levels of department stores, such as Takashimaya, Daimaru, Mitsukoshi, Isetan, etc. dedicated entirely to food. 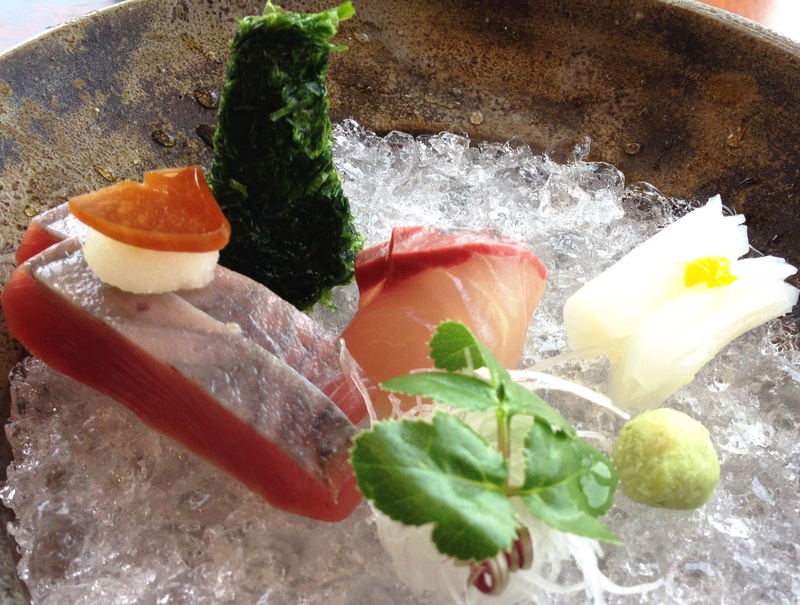 During the trip, we had sashimi almost daily, as it happens to be a very common course in a progression of any set meal. 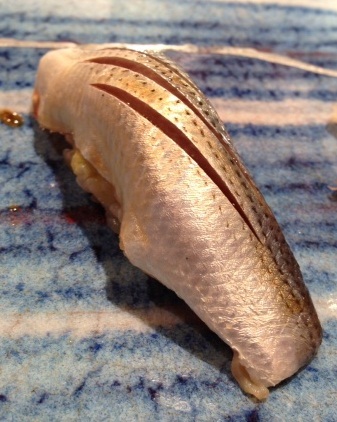 In addition to that, we went to a dedicated sushi restaurant (sushiya) a total of 5 times (three times to Tokyo Michelin-starred restaurants, once to Daiwazushi at Tsukiji market, and once in Kyoto ( to Izuju, for Kyoto-style pressed mackerel sushi and inari sushi). 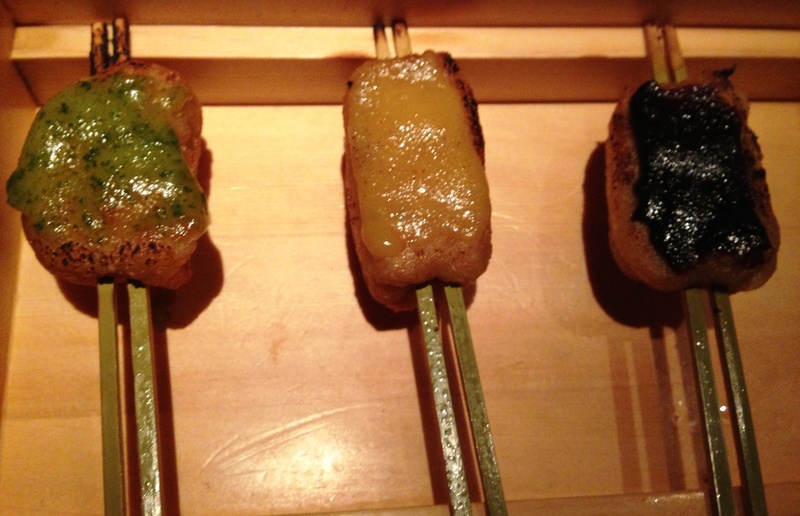 Even though all of the experiences were extremely enjoyable in their own right, the trip to the 10-seat, 3-Michelin-star Sushi Mizutani left me giddy for hours. Mizutani-san does not allow photography, as he finds it distracting; however, I found that not being a food paparazza helps one to focus on what’s important: the absolutely incredible fish, the amazing knife skills, and on sharing the fleeting ideal moment with the legendary itamae (sushi chef), considered by many to be one of the world’s best. It was intimidating at first (which is why I always recommend starting a Japanese meal with a beer to take the edge off), but overall I found him to be very approachable and gracious. Nevertheless, it was very humbling to be face-to-face with a true shokunin, – someone who has dedicated his life to relentless pursuit of perfection through his craft. Naturally, one cannot speak of sushi without mentioning the rice. 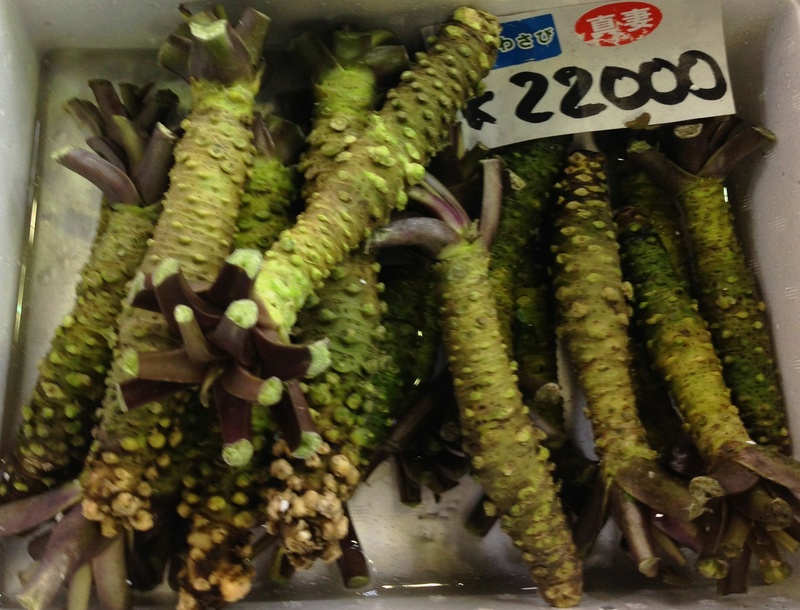 Mizutani-san is famous for his top-quality, perfectly textured, vinegared shari (rumored to be from the same purveyor as his teacher Jiroo-san). As he himself put it in response to my excited broken Japanese, “If the rice is good, then the sushi is good”. Besides the incredible vegetables, Kyoto’s other claim to fame in the food world is tofu, which comes from a combination of centuries of experience from Buddhist monks and great mountain spring water. 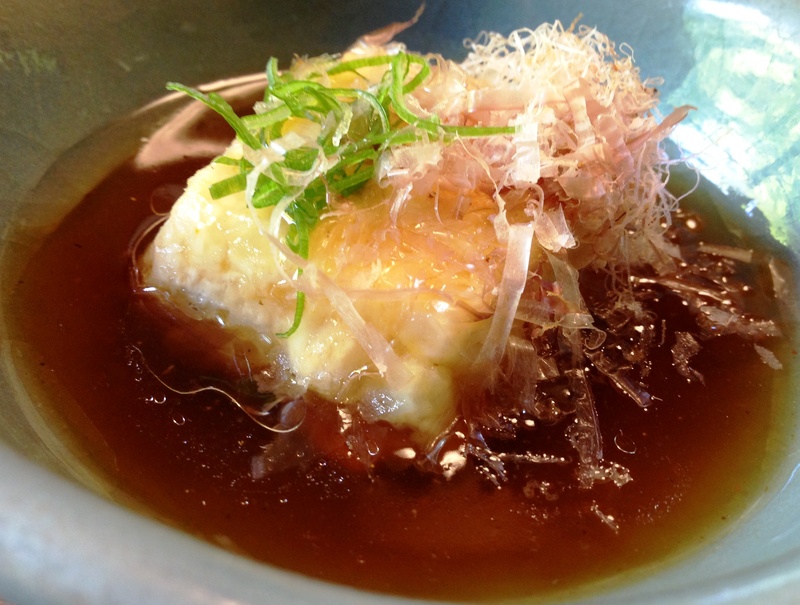 After eating at places like Okutan, Sosoan and Shoraian (currently considered the #1 tofu restaurant in Japan), it is fair to say that Kyoto has elevated tofu-making to an art. 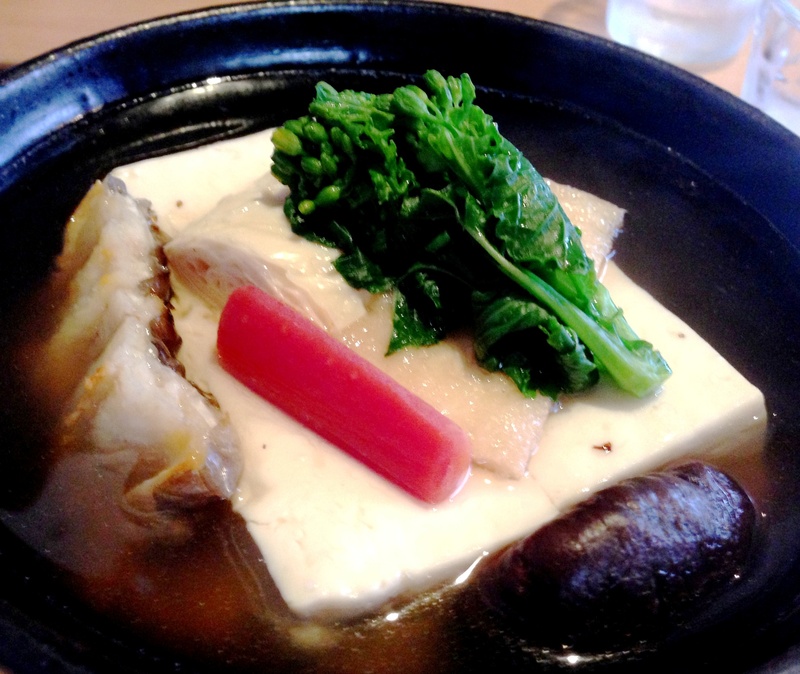 It is interesting to note that many tofu-centric restaurants are not vegetarian, as that connection primarily exists in the Western world (the only exception is shojin-ryori, – Buddhist monks’ ascetic and beautiful cuisine). 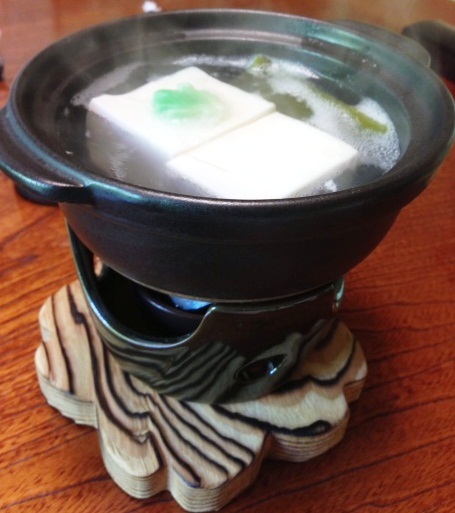 At a place like Shoraian, tofu is not a bland block of protein, but an incredible handmade ingredient showcased in a tofu kaiseki which may include chilled sesame tofu, yuba (tofu skin), yudofu (hot pot), agedashi tofu, etc. Be on the lookout for Part II of this post coming in the next couple of days! P.S. 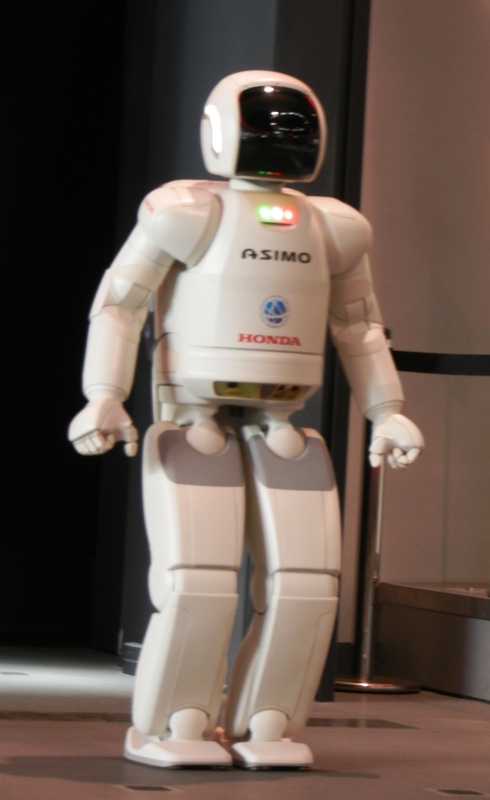 Since this is a food & wine blog, I will not be talking about the amazing soccer-playing humanoid robot ASIMO at Miraikan, Tokyo’s Museum of Emerging Science and Innovation. 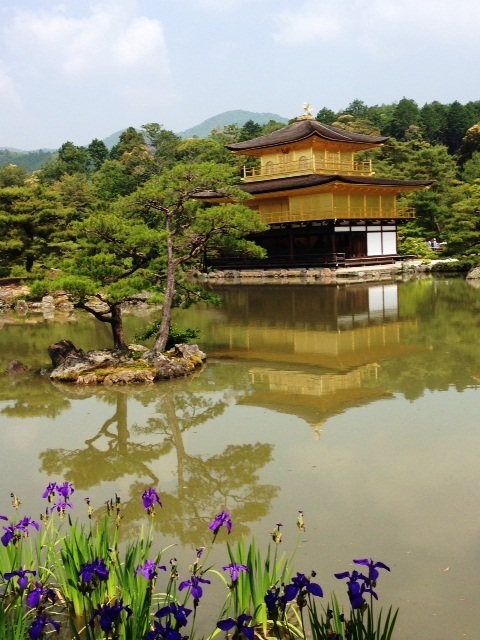 I will not mention the 1,000-year old Zen rock garden, or Kinkaku-ji,Temple of the Golden Pavillion, whose top two floors are completely covered in gold leaf. Nor will I describe our hike in Kamakura, culminating at the biggest outdoor Buddha statue in Japan, or a boat trip down mountain river Hozo from Kameoka to Arashiyama, or the Thousand Torii (Gates) at Fushimi Inari shrine in Kyoto. I will completely leave out stories of playing with the world’s cutest cats at Nekorobi, a cat cafe in Tokyo, and of gliding in a cable car from the top of a volcanic mountain to the lakeshore, while gazing at Fuji-san (Mount Fuji) in stunning Hakone…some things should be left to imagination.